**Latest News: A follow-up visit and fundraising...check out our Blog for details..
News Headline, ABC News. Australia. September 30th 2009. A team meeting on September 30th became one of my proudest moments since I began SKB. The morning started with discussions about the catastrophic events that had happened the day before. The conversation amongst our small team of five builders didn’t take long to progress to the realisation that they were in a position to make a huge impact on the Samoan region. 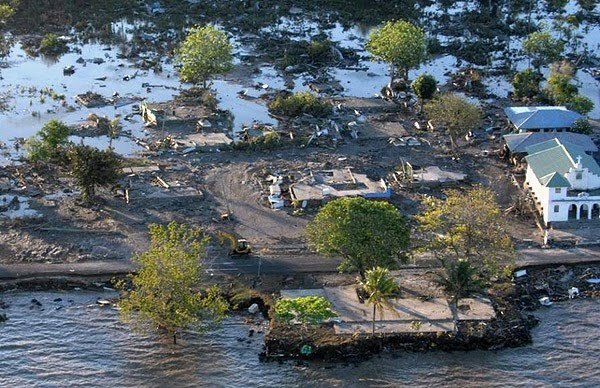 Every one of them, without hesitation, put their hands up as volunteers to help rebuild Samoa. We have spent the last few months researching our best options; how we would like to be involved and where we thought our time and skills could be best spent. This website is a way for all our supporters to keep up to date with what we are up to, plus it is a platform in which we can continue to outline our plan, our partnerships and the needs of the children in the small and devastated village of Satitoa. We are hoping that your support, plus our time and building expertise will make a real and positive impact not only for the Samoan children of today, but for many future generations to come. Please take the time to visit our Sponsor's page. Without them, this would not be possible - thank you!